Seasons In Malibu is proud to announce the addition of Dr. Harry Haroutunian, a renowned physician and author, to their addiction treatment team. Dr. Haroutunian will be working as a part of the Professionals Drug and Alcohol Treatment program to help address the needs of professionals and executives who require quality residential drug treatment. He has written several books on the topic of addiction and has gained notoriety around the world from his lectures on substance abuse and treatment. 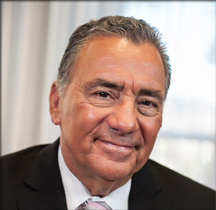 Dr. Haroutunian’s considerable experience as an addiction expert and his understanding of the unique approaches necessary to treat professionals make him a valuable new member of the Seasons recovery team.